Whether it be the fact that the cocktail takeover hadn’t quite yet peaked, Instagram hadn’t been invented yet, or just that the dull influence of the early 2000s continued to produce the same stale ideas over and over again, nightlife was falling flat. Of course there were some trailblazers of fame and acclaim, but for the most part it was all just phooey. This meant that your evening out often resulted roughly in standing shoulder to shoulder in a seemingly endless line with a barrage of impatient club-goers eager to trample whoever they had to in order to get in the door of their favorite nightclub, or if you were interested in a more-low key experience, you found yourself in the clutches of a dull and uninteresting atmosphere where you’d order a Sazerac and immediately wish you would have just opted for a simple G&T instead upon watching your bartender throw every ingredient into a tin and shake the life out of it. Ask Walt Disney, if you create an interactive experience out of something people already enjoy, and a themed one at that, you’re not just a business owner, you’re an innovator--and these brothers are in the business of creating an environment indicative of a different place and a different era entirely. With a long list of properties including 70’s house party-themed Good Times at Davey Waynes in Hollywood, which is actually a homage to the twins’ father, Davey Wayne Houston, and beloved 80’s themed Karaoke bar, Break Room 86 located at The Line in Koreatown, perhaps what is most impressive is what we’ll be referring to as Houston Brothers Row--Houston Hospitality's condensed series of bars off of N Hudson Ave and Hollywood Blvd. Including one building housing Madame Siam, Black Rabbit Rose, and Dirty Laundry, it’s hard to believe that you’re even on the same planet anymore, let alone that there’s another bar right beneath the floor or on the other side of the wall. The Victorian-style estate that houses No Vacancy also happens to be right next door. 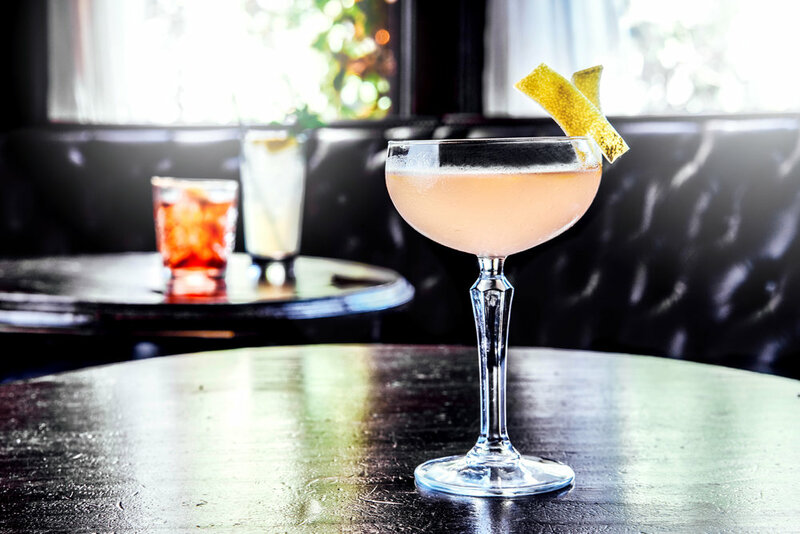 Interested in immersing ourselves in the full experience of each spot, we picked up, headed over to Hudson and Hollywood and let the drinks do the talking. Ladies and gentlemen, boys and girls (as long as you’re of legal drinking age), come one, come all, and step right up to the fabulous Madame Siam’s Sideshow Emporium--the latest of the Houston Brothers ventures which reflects the traveling circus of our dreams. 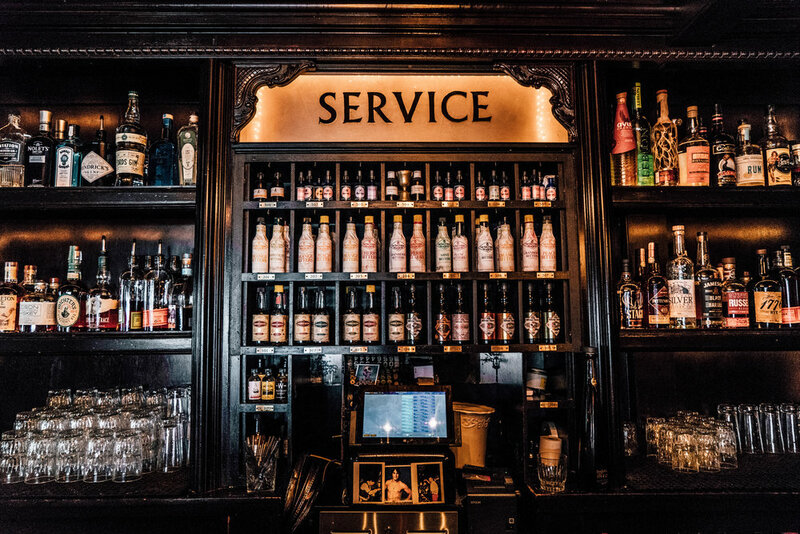 Although it's within the same building as two of Houston Hospitality's most popular bars, you could honestly even forget that there’s a whole world outside their doors. With an array of carnival games with a cheeky twist and real prizes, playful vintage decor in spacious lounging areas, and a chuck wagon that you can order exclusive carnival snacks such as a Carny Dog or a Twisted Pretzel, you could get lost in here for hours. 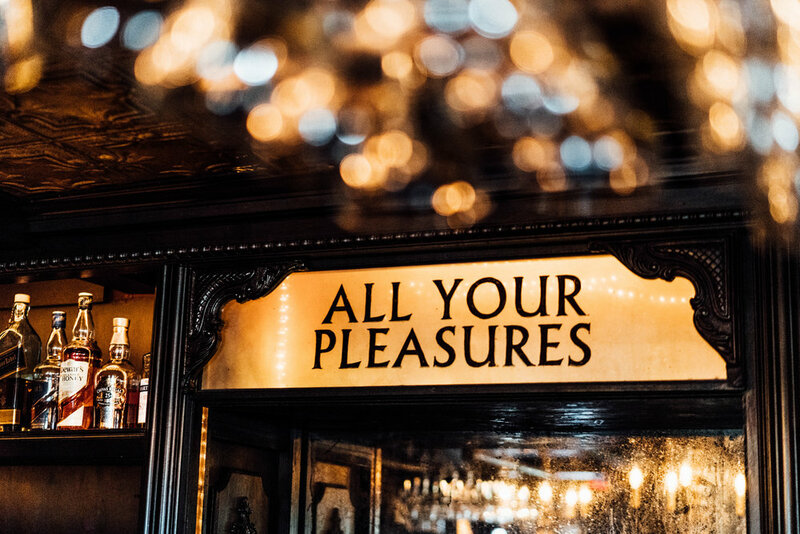 On any given night at Madam Siam's, you could also encounter tarot readers, contortionists, and even live music, perhaps going on all at once even. Add the droves of eccentric Hollywood bar-goers, then it's really a circus. The brilliantly animated libational guide flush with cocktails curated by Bar Manager of Madam Siam's, Joel Martinez, is based around the Six Lands of Madame Siam: Carousel Land, Wild West Land, Elephant Land, Pola's Prophecy Land, Butterfly Land, And Houston Brother's Boardwalk. Each cocktail is an eclectic take on a classic. Amongst the proper potions, Flying Horse, perhaps one of the best damn Negronis we've ever sipped upon, is made with Plymouth Gin, Lillet Blanc, Campari, and peach bitters, and is like a gentle caress on the palate. 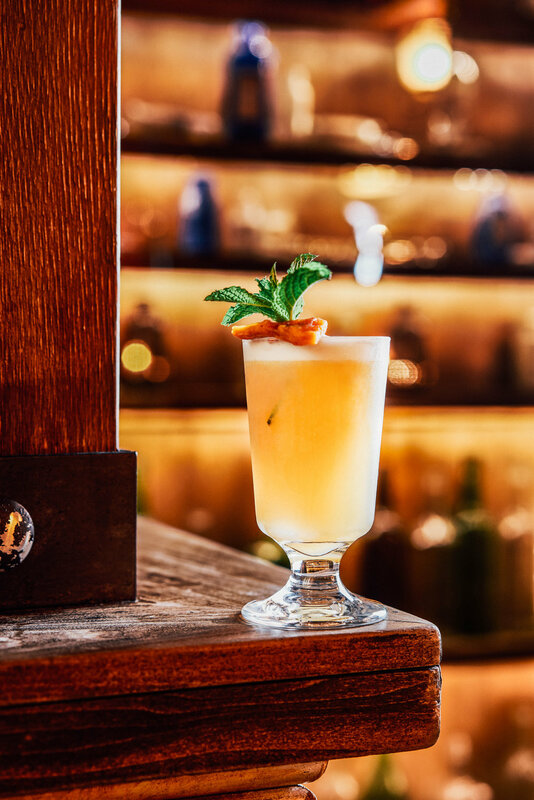 Of the more carny-inspired, Step Right Up is made with butter-washed Bacardi rum, coconut water, lemon juice, simple syrup, and Creme de Cocoa, and is garnished with only the tastiest kettle corn. We sipped our drinks atop a carousel horse, played some Plinko, and set out to our next destination. Goon of Fortune: Toki Japanese Whisky, Ras Al Hanout, and Mint Syrup. 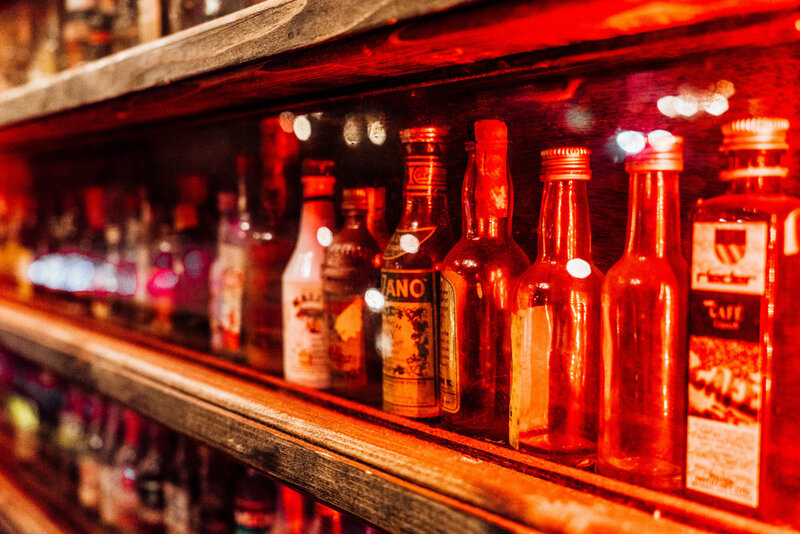 On the more dark and hedonistic side of things, we give you the underground playhouse known as Dirty Laundry, which gets it's name from the idea that alcohol was smuggled in laundry baskets during the era of Prohibition, not for the gossip that gets spilled after a few stiff drinks. Dirty Laundry is the sort of place where you can sit in a booth with a couple of friends and chat, or take to the dance floor and enjoy the labor of the evening's DJ. The rules follow as such: No whining, no fighting with your barkeep, no name-dropping, and there will be no "bombs" served of any kind. There's more to it, but you'll just have to find out for yourself. 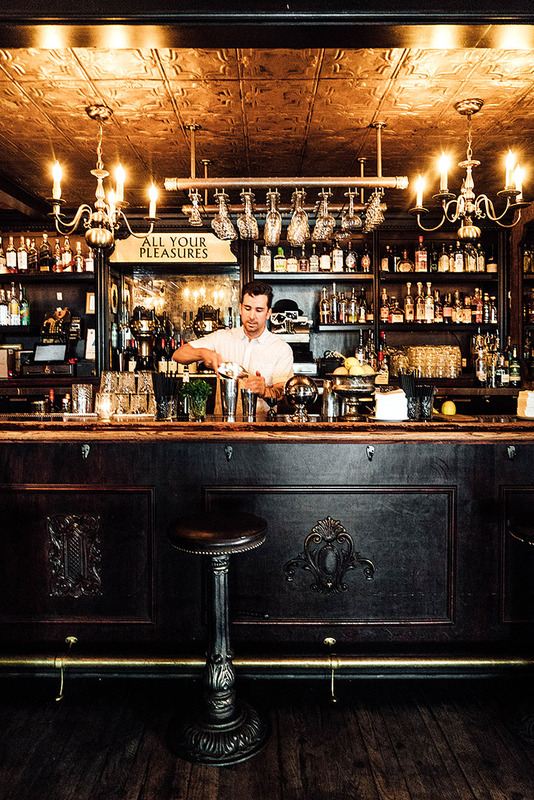 Taking you out of your comfort zone is among the main goals of Bar Manager Albert Bermudez. 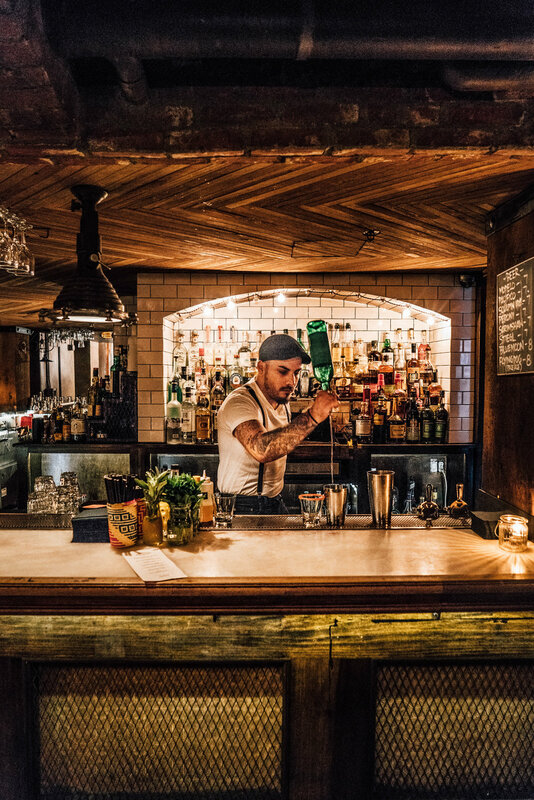 To deter you from sticking to your usual Mojito or Naked and Famous, Albert and the rest of the talented bar staff have quite a few tricks of the trade up their sleeves, concocting cocktails that are bound to entice and excite. 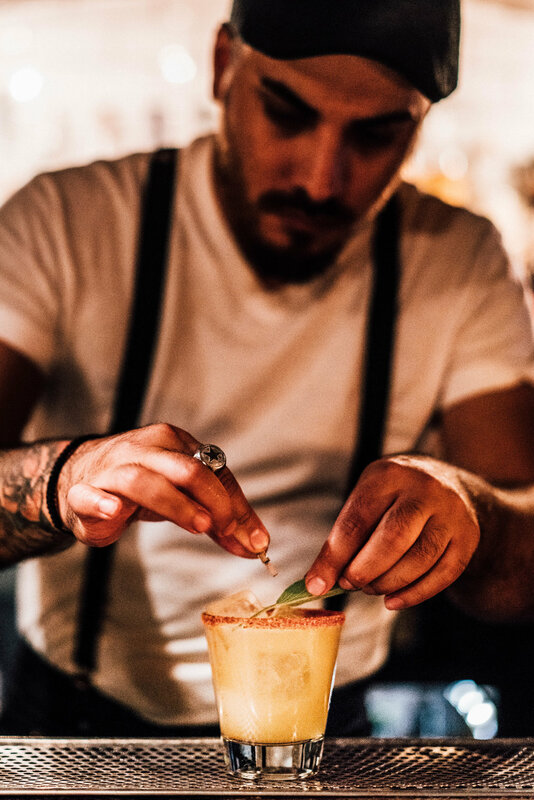 Made with Altos Tequila, mint, peach, lime juice, simple syrup, Peychauds bitters, and egg white, you'll be trying to squeeze Albert's creation Hairdresser On Fire into an empty page of your diary ASAP. Sweet & Tender Hooligan, which is also a homage to The Smiths, is made with Amaras Verde Mezcal, sage, lime juice, agave, tamarindo, a pico rim, and a mini Cucharita tamarind candy spoon on the side. 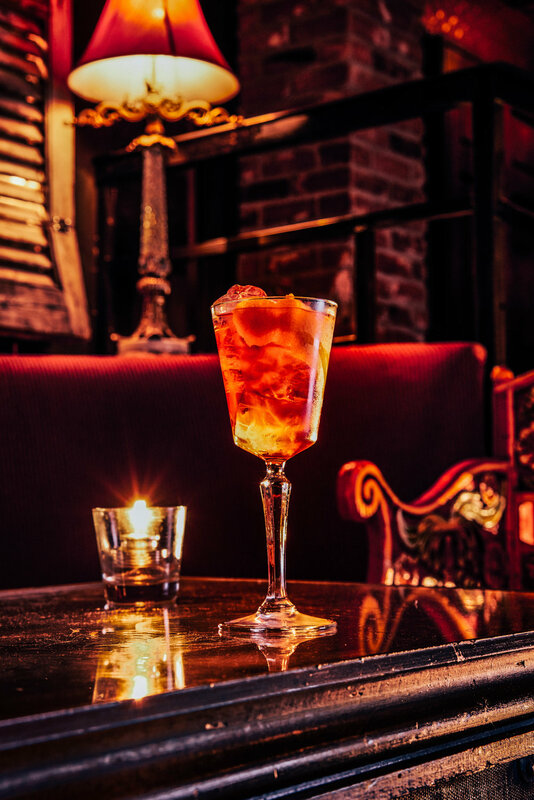 Refined tastes are to be relished in with the cocktail list at No Vacancy. The era in which the theme is set and the overall elegance of the atmosphere bleeds into a selection of modified classics and trailblazing contemporary concoctions. Bar Manager Morrison Nichols spun up a couple of these creations for us, including the Smoked Chardonnay Sour, made with Smooth Ambler Old Scout Whiskey, Smoked Chardonnay, Yellow Chartreuse, lemon juice, and rose water. As if an ice cold Martini couldn't get any better, Who’s Afraid of a Gin Martini, made olive oil-washed Plymouth Gin and dry vermouth packs a light punch and gives way to a mouth feel that's unlike anything else. The cocktail list at Black Rabbit Rose is laden with esoteric creations that might as well be as entertaining as the magic show itself. Darks Arts, made with lemongrass-infused vodka, lime juice, aloe, and activated charcoal is black as night to the eye, but light and uplifting to your tastebuds. 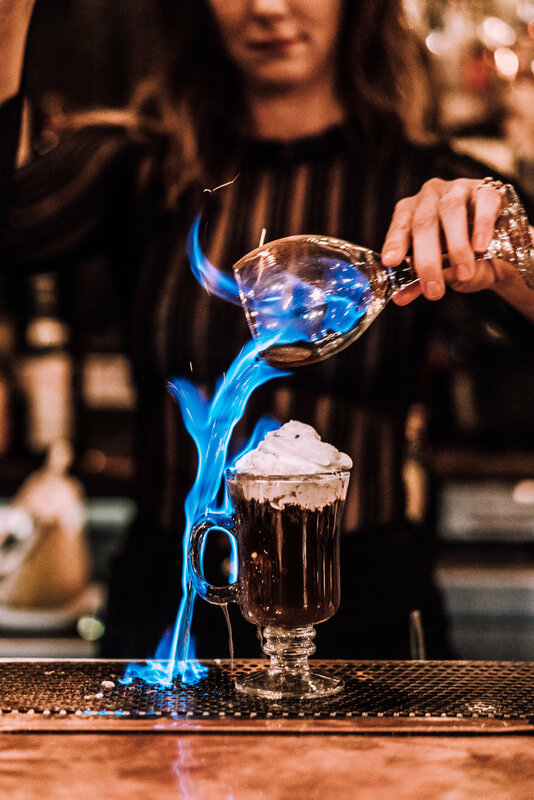 A creation of bartender Cass Pease, if you're really looking for a unique cocktail encounter, order the Bullet Catch--made with dark rum, coffee, Green Chartreuse, coconut cream, and cinnamon, making it the ultimate postprandial treasure. Just sit back, sink into your cocktail, and make sure you don't singe your eyebrows. Expanding beyond Los Angeles later this year, Houston Hospitality will be opening On the Record in Park MGM within the heart of fabulous Las Vegas, NV, so if you're anywhere but, get ready to make a trip. We'd like to thank Houston Hospitality and everyone involved in helping us put this together, and we hope to see you the next time we head over to Houston Brothers Row.